LED light therapy is a non-invasive cosmetic procedure using Light Emitting Diode (LED) technology to treat a variety of skin imperfections such as fine lines and wrinkles, scarring, blemishes, uneven skin tone and texture and stretch marks. LED light therapy is a non-invasive cosmetic procedure using Light Emitting Diode (LED) technology to treat a variety of skin imperfections such as fine lines and wrinkles, scarring, blemishes, uneven skin tone and texture and stretch marks . The high power LED signifies a real advancement in photodynamic therapy and anti-ageing photomodulation. Different wavelengths of LED light have the ability to penetrate varying depths of the skin and have different effects depending on what is being treated. LED light therapy can be used on the face and body to treat a variety of skin problems, often using a combination of wavelengths and energies for maximum results. Infra-Red Light (830nm): Maximum penetration to treat deep stretch marks and promote wound healing. IR LED light has been used to treat wounds, ulcers and even cellulite and is often used in conjunction with other frequencies of LED light. Red Light (630nm): For skin rejuvenation, anti-ageing and to reduce inflammation post-procedure. LED red light has been proven to stimulate the production of collagen and elastin to improve skin tone and texture. It can activate the lymphatic system to help carry waste products out of the body, improve blood flow and circulation leading to better oxygenation of the skin and restoring damaged connective tissue. Yellow Light (590nm): Clinical studies have shown that yellow LED light reduces inflammation and redness as well as leading to softer skin and a reduction in fine lines. It can increase the production of collagen in the skin with statistically significant improvements in wrinkles and skin texture. Blue/Purple Light (415nm): Works at a more superficial level and is proven to help with the treatment of acne and pigmentation. It has been shown to have an anti-inflammatory effect within the skin cells, decreases gland size and sebum production in the sebaceous glands responsible for acne and selectively destroys the acne causing bacteria. There has been considerable research on LED light therapy. Photons of light are able to penetrate the skin and are converted into energy, in a process similar to photosynthesis in plants, triggering photobiochemical reactions within the skin cells. By providing the cells with more energy, increased collagen and elastin production can occur and damage and inflammation may be reduced. As well as this, LED light can help control damaging free radicals, can increase production of beneficial growth factors and can stimulate new blood vessel growth and increase blood flow which all help to regenerate and maintain the skin. A medical history will be undertaken to ensure that light therapy is a suitable treatment and that there are no medications being taken that can cause photosensitivity. Eye protection will be worn during the treatment. LED light therapy is considered an extremely safe procedure. LED light therapy is painless, there is just a sensation of warmth. The LED canopy features an ultrasonic telemetry device to ensure that the light therapy is placed at the correct distance (5-8cm) from the treatment area. 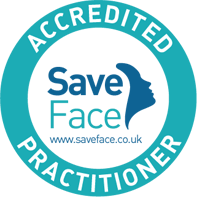 When treating the face, this can create a feeling of claustrophobia therefore if there is a fear of confined spaces, it is imperative that this is reported to the practitioner prior to treatment. It is safe to treat areas where a tattoo is present without causing any damage to the skin or the tattoo but these areas may experience additional warmth. For most people there are no side-effects following LED light therapy. If you have a light sensitivity, you may experience uncomfortable heat, prolonged redness of the skin, swelling, itching or headaches. It is essential that you contact the clinic at the earliest opportunity if you develop any of these symptoms and if so, further treatment is not recommended. These symptoms will usually resolve within 24 hours. LED light therapy is not suitable for people who suffer from photo sensitive epilepsy. The pulsed mode (LED lights flashing on and off) may not be suitable for people who suffer from migraines. 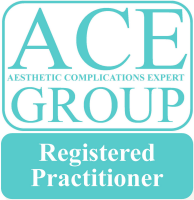 Most people will see an improvement in their skin within 6-12 weeks following a course of treatments. It is recommended you drink plenty of water prior to treatment, eat a healthy diet, limit alcohol consumption, smoking and sun exposure to assist in promoting better results. Individual results vary from person to person and no guarantee of anticipated or expected results can be made.